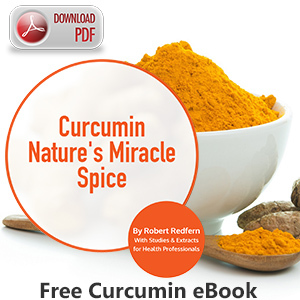 Mrs Judith Gordon reports that she and her husband had been taking Curcumin for a couple of months. He was then rushed into hospital with acute appendicitis which had ruptured. He was in hospital for 4 days and they had to remove aportiion of bowel. The hospital has a major problem with MRSA and he is the only person she knows who has come out without any infection. His recovery has been very rapid, much faster than expected and they are convinced the Curcumin has helped tremendously.